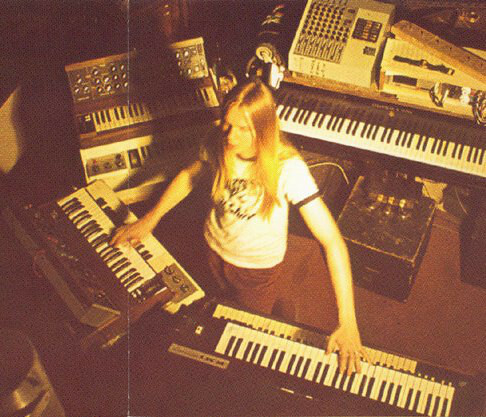 RICK WAKEMAN-1973-1977, THE GLORY YEARS. 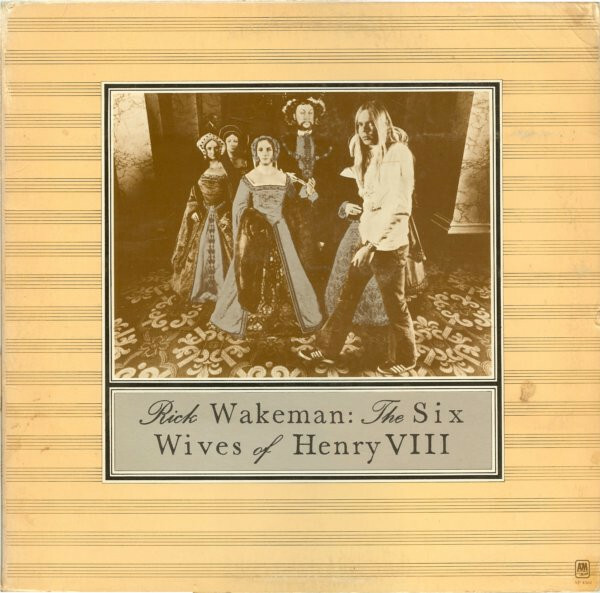 In January 1973, Rick Wakeman released his sophomore album The Six Wives Of Henry VIII. It was a groundbreaking album, one that would forever change prog rock. The Six Wives Of Henry VIII was the album that legitimised synths in prog rock. This was a game-changer. Following the success of The Six Wives Of Henry VIII, synths became commonplace in prog rock. However, without Rick Wakeman and The Six Wives Of Henry VIII, maybe, the history of prog rock would’ve been very different? However, Rick Wakeman found inspiration for The Six Wives Of Henry VIII when touring with Yes. In early 1972, Yes were touring America to promote their fourth studio album Fragile. On a stopover in Richmond, Virginia, Rick Wakeman, joined Yes in August 1971, and made his debut on Fragile, was perusing the airport bookshop. Eventually, Rick bought four books, including Nancy Brysson Morrison’s The Private Life Of Henry VIII. On the subsequent flight from Richmond to Chicago, Rick began reading Private Life Of Henry VIII. As he began reading about Anne Boleyn, Rick remembered a recording he had made in 1971. Since then, Rick had done nothing with that piece of music. After recording the music, Rick had been struggling to come up with lyrics to accompany it. This being the age of the concept album, what Rick was looking for, was a theme that could run through the recording. Not any more. Suddenly, everything came together. The notes Rick made about Anne Boleyn on the flight to Chicago were just the start. Over the next few weeks and months, whether at home or on tour, Rick focused on each of Henry VII’s six wives. At his piano, he continued to make notes. Eventually, Rick’s notes became the thread that ran through his sophomore album, The Six Wives Of Henry VIII. It transformed Rick Wakeman’s solo career. Prior to the release of The Six Wives Of Henry VIII in January 1973, Rick Wakeman had only released one solo album, 1971s Piano Vibrations. However, controversy surrounds Piano Vibrations. Rick doesn’t even consider Piano Vibrations as part of his discography. Rick’s involvement was minimal. He neither wrote, nor chose the material on Piano Vibrations. Eight of the ten tracks were cover versions of popular songs, and the two other tracks were cowritten by producer, John Schroeder. All Rick who was working as a session musician, had to do, was turn up and play piano. The result was what is best described as a cheesy sounding album, that failed to chart. This was the polar opposite to Rick’s sophomore album The Six Wives Of Henry VIII. Having joined Yes in August 1971, Rick played on their fourth album, Fragile. It was released on 29th November 1971 in Britain, reaching number seven. This resulted in Fragile being certified silver. Across the Atlantic, Fragile was released on 4th January 1972, and reached number four in the US Billboard 200. Fragile was certified double platinum, and became the most successful album of Yes’ career. This would also be the case with Rick’s sophomore album, The Six Wives Of Henry VIII. Recording of The Six Wives Of Henry VIII took place between February and October 1972. A&M Records gave Rick an advance of £4,000 to help with recording of The Six Wives Of Henry VIII. That wasn’t going to go far. Luckily, Rick was a multi-instrumentalist, who could rely upon members of Yes, and his former band The Strawbs. On The Six Wives Of Henry VIII, Rick played Minimoog and ARP synths, Mellotron, Hammond organ, church organ, electric piano, grand piano and harpsichord. Accompanying Rick, who produced The Six Wives Of Henry VIII, were some of the top musicians of the early seventies. Among Rick’s band were what can only described as prog rock royalty. This included Yes’ rhythm section of drummers Bill Bruford and Alan White, bassist Chris Squire and guitarist Steve Howe. They were joined by The Strawbs bassist Chris Cronk and Dave Cousins, who played electric banjo. These were just a few of the musicians who played on The Six Wives Of Henry VIII. Other musicians who played a part in the making of The Six Wives Of Henry VIII were drummer Barry de Souza, bassists Dave Winter and Les Hurdle and guitarist Mike Egan. They were joined by percussionists Ray Cooper and Frank Ricotti and vocalists Laura Lee, Sylvia McNeill, Judy Powell, Barry St. John and Liza Strike. Once the six tracks were recorded, the cost of The Six Wives Of Henry VIII had risen to £25,000. A&M Records’ advance hadn’t come close to covering the cost of The Six Wives Of Henry VIII. Rick needed The Six Wives Of Henry VIII to be a huge success. Prior to the release of The Six Wives Of Henry VIII, Rick was booked to appear on BBC TV’s The Old Grey Whistle Test, where he would play excerpts of The Six Wives Of Henry VIII. That should’ve given The Six Wives Of Henry VIII a huge boost. However, back then, there were only three television channels. On one of the other channels, ITV a documentary about Andy Warhol was scheduled to be released. The documentary was much anticipated, and as many as ten million viewers were expected to view it. Luckily, at the last minute, it was banned. With ten million people looking for something to watch, many turned to BBC 2, and The Old Grey Whistle Test. That night, excepts from Rick Wakeman’s sophomore album, The Six Wives Of Henry VIII were heard by a huge audience. This was just what he needed. Reviews of The Six Wives Of Henry VIII hadn’t been good. Only Time magazine and Rolling Stone seemed to appreciate The Six Wives Of Henry VIII. They published glowing reviews. However, they were the only ones. Other critics weren’t won over by The Six Wives Of Henry VIII. Neither were many people at A&M Records. Behind the scenes, staff at A&M Records referred to The Six Wives Of Henry VIII as “unsellable.” They reckoned that an instrumental prog rock album was unlikely to sell well. So, only 12,500 copies of The Six Wives Of Henry VIII were pressed prior to release. How wrong executives at A&M Records were. On the release of The Six Wives Of Henry VIII on 23rd January 1973, it topped the charts in four countries. The Six Wives Of Henry VIII reached number seven in Britain, and number thirty in the US Billboard 200 charts. This resulted in The Six Wives Of Henry VIII being certified gold in America. However, things would get even better for Rick Wakeman. Following the success of The Six Wives Of Henry VIII, Rick Wakeman began work on his third album, Journey To The Centre Of The Earth. This was another concept album. It was based on Jules Vernes’ science fiction novel Journey To The Centre Of The Earth, which was published in 1864. It inspired Rick to write and record another prog rock opus. 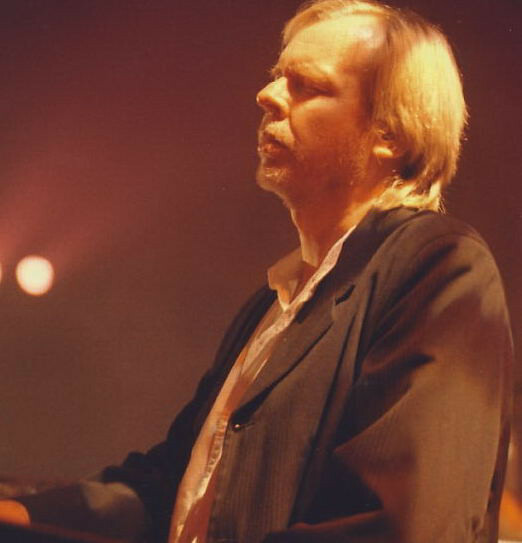 Journey To The Centre Of The Earth featured two lengthy tracks written by Rick Wakeman. The Journey/Recollection, which lasted twenty-one minutes, would fill side one of Journey To The Centre Of The Earth. Side two featured The Battle/The Forest, which lasted nearly nineteen minutes. However, these two tracks weren’t recorded in a studio. No. Journey To The Centre Of The Earth was recorded at the Festival Hall, London. 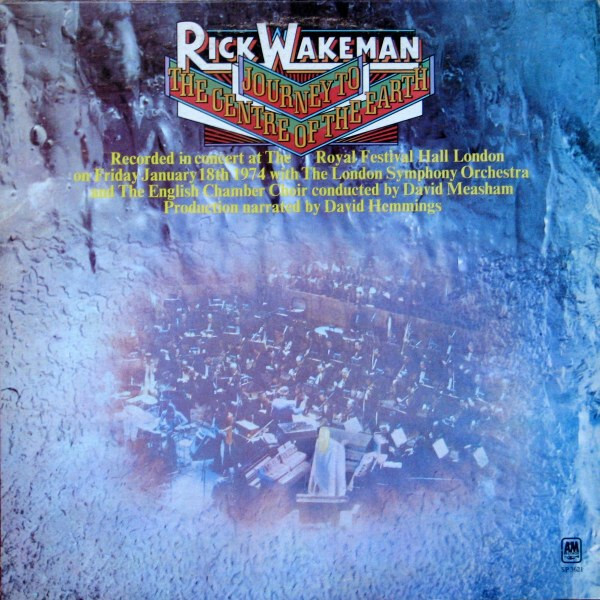 On 18th January 1974, Rick Wakeman, accompanied by the London Symphony Orchestra, the English Chamber Choir and a select group of musicians who Rick named The English Rock Ensemble. With such an ambitious project, Rick wasn’t taking chances. Two concerts were scheduled and both were recorded. The second concert would feature on the completed version of Journey To The Centre Of The Earth, which was released on 9th May 1974. Before the release of Journey To The Centre Of The Earth, critics had their say. To say reviews were mixed is an understatement. Among the less favourable reviews, words like a “classical pastiche” “genuinely appalling” and “brutal synthesiser overkill” peppered reviews. For Rick this was hugely disappointing. It had been a hugely ambitious project, one which took a lot out of him. However, other critics, especially the rock critics, were much more open minded. They gave Journey To The Centre Of The Earth glowing reviews. Maybe, Rick’s hard work was about to pay off? When Journey To The Centre Of The Earth was released on 9th May 1974, Rick Wakeman had the last laugh. Journey To The Centre Of The Earth reached number one in Britain and number three in the US Billboard 200 charts. This resulted in Journey To The Centre Of The Earth being certified gold in America, Britain and Brazil. Rick Wakeman had been vindicated. Especially when Journey To The Centre Of The Earth won an Uvor Novello Award and was nominated for Grammy Award. However, his world was about to be turned upside down. The Myths and Legends Of King Arthur and The Knights Of The Round Table. Following the release of Journey To The Centre Of The Earth, Rick Wakeman was getting ready to begin work on his fourth album. Then disaster struck. Rick had the first of three minor heart attacks. He was taken to Wexham Park Hospital, near Slough, in Berkshire. That’s where Rick recuperated and began writing The Myths and Legends Of King Arthur and The Knights Of The Round Table. When Rick was admitted to the Wrexham Park Hospital, the prognosis wasn’t good. Far from it. The doctor advised Rick to stop playing and touring. If he retired, his health might improve. Rick wasn’t amenable to this suggestion. So, that night, he penned The Last Battle, the track which would eventually, close The Myths and Legends Of King Arthur and The Knights Of The Round Table. This was the start of Rick Wakeman’s recovery. The suggestion that Rick Wakeman retired seemed to inspire him. So, whilst recovering from the heart attack, Rick wrote most of The Myths and Legends Of King Arthur and The Knights Of The Round Table at Wrexham Park Hospital. Before long, his health had improved and he was ready to record The Myths and Legends Of King Arthur and The Knights Of The Round Table. Recording of The Myths and Legends Of King Arthur and The Knights Of The Round Table began at Morgan Studios, London, on 16th October 1974. Right through to the 10th January 1975, Rick and his band recorded the seven tracks that became The Myths and Legends Of King Arthur and The Knights Of The Round Table. Rick’s band included the rhythm section of drummer Barney James, bassist Roger Newell and Geoff Crampton on lead and acoustic guitar. They were joined by percussionist John Hodgson and The English Chamber Choir. Taking charge of the lead vocalis were Gary Pickford-Hopkins and Geoff Crampton. Rick who produced The Myths and Legends Of King Arthur and The Knights Of The Round Table, played synths, keyboards and grand piano. Once recording was completed on 10th January 1975, The Myths and Legends Of King Arthur and The Knights Of The Round Table was released in April 1975. Before that, the critics had to have their say about The Myths and Legends Of King Arthur and The Knights Of The Round Table. This time, generally, reviews were more favourable. Gone were the scathing, jaundiced reviews that preceded Journey To The Centre Of The Earth. Things were looking good for Rick Wakeman. On the release of The Myths and Legends Of King Arthur and The Knights Of The Round Table, in April 1975, it reached number two in Britain and number twenty-one on the US Billboard 200 charts. This resulted in Rick’s third consecutive gold disc in America. The Myths and Legends Of King Arthur and The Knights Of The Round Table also was certified gold in Japan, Australia and Brazil. Things were indeed, looking up for Rick Wakeman. However, according to the musical rumour mill, there was a problem. Rick had decided to tour The Myths and Legends Of King Arthur and The Knights Of The Round Table, to support the album. This included three nights at Wembley, which was billed as King Arthur On Ice. Although these nights sold out, rumours persisted that Rick Wakeman had taken a large financial hit. Some rumour mongers went as far as to suggest that Rick had been declared bankrupt. That was far from the truth. Later, it became apparent that Rick never lost money on the tour that accompanied The Myths and Legends Of King Arthur and The Knights Of The Round Table. Indeed, the tour and album had been a profitable venture, selling over twelve million copies worldwide. Not bad for an album Rick Wakeman wrote in his hospital bed, and released forty years ago, when progressive rock, like Arthur was King? After three hugely successful albums, Rick Wakeman’s profile had never been higher. 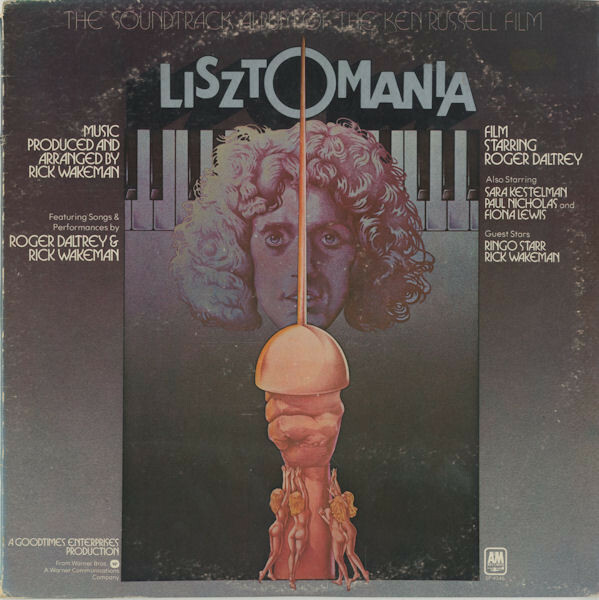 Rick was commissioned to write and record the soundtrack to Ken Russell’s film Lisztomania, which was a biography of classical composer Franz Liszt. Ken Russell gave Rick Wakeman free reign when it came to the soundtrack. So Rick Wakeman brought onboard Who frontman Roger Daltrey. He wrote some of the lyrics and added the vocals. Joining Roger Daltrey, were vocalists Linda Lewis and Paul Nicholas. They featured on the Lisztomania soundtrack which was released in November 1975. There was a problem with Lisztomania. Rick Wakeman wasn’t happy with the soundtrack. So much so, that album was reworked and rereleased as The Real Lisztomania. Rick’s concerns about Lisztomania proved to be correct. The reviews were mixed. This didn’t bode well for the release of Lisztomania. When Lisztomania was released in November 1975, the album failed to chart in Britain. Across the Atlantic, Lisztomania stalled at 145 in the US Billboard 200. For someone who was used to gold and platinum discs, this was a low point of Rick Wakeman’s career. However, redemption wasn’t far away. Once the festive period was over, Rick Wakeman and his band returned to the studio in January 1975. That would be their home for the next three months. 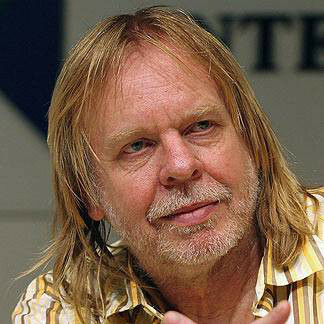 Like many rock stars during the seventies, Rick Wakeman decamped to France to record albums and sometimes, to live. Many musicians who were unwilling to pay the high rates of income tax in Britain, became tax exiles. Others, just enjoyed the more exotic location of Château d’Hérouville, in Hérouville. This was where Rick decided to record the three tracks that became No Earthly Connection a creation myth which was based on music. Rick had written No Earthly Connection. The centrepiece of the album, was an ambitious, five part suite Music Reincarnate. It was a twenty-eight minute epic. For No Earthly Connection, Rick had written The Prisoner and The Lost Cycle. These three tracks featured Rick’s band. Before that critics had their say on No Earthly Connection. Most of the reviews were positive. There was the occasional dissenting voice. Overall, No Earthly Connection was regarded as a return to form from Rick Wakeman, and a vast improvement on Lisztomania. This bode well for No Earthly Connection, which came with a couple of surprises. On the release of No Earthly Connection in May 1976, it began to climb the charts. Eventually, it reached number nine in Britain. Across the Atlantic, No Earthly Connection stalled at number sixty-seven in the US Billboard 200. This time around, there were neither gold nor platinum discs for Rick Wakeman. However, his career was back on track. Lisztomania had been a blip, and redemption came in the shape of No Earthly Connection. While it didn’t match the quality and success of The Six Wives of Henry VIII, Journey to the Centre of the Earth and The Myths and Legends of King Arthur and the Knights of the Round Table, No Earthly Connection was a reminder that Rick Wakeman was one of the most ambitious and innovative British musician of the seventies. 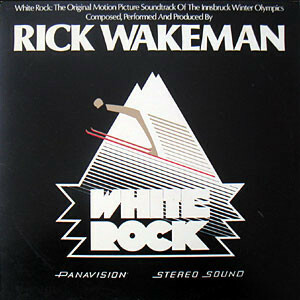 Despite his disappointment with how the soundtrack to Lisztomania had turned out, Rick Wakeman agreed to record White Rock, a documentary film about the 1976 Winter Olympics, in Innsbruck, Austria. Rick approached the White Rock soundtrack differently. Instead of using a band for the White Rock soundtrack, Rick Wakeman took his banks of trusty keyboards and synths to CBS Studios. Rick’s banks of keyboards and synths were able to produce the majority of the sounds on White Rock. However, augmenting Rick was drummer and percussionist Tony Fernandez, plus St Paul’s Cathedral Choir. They began work on White Rock in January 1976. By then, Rick Wakeman had written seven tracks. That was all very well. However, he was meant to have written eight. When Rick entered the studio one day, he realised he forgotten to record what became After the Ball. Rather than admit to his mistake, Rick Wakeman proceeded to improvise his way through After the Ball. With the track recorded, Rick listened to the playback and realised that it was a flawless take. There was no need for a further take. For the track that closed the White Rock soundtrack, Rick pioneered the use of sampling. Ice Run was the track that closed the soundtrack. As Rick worked on the track, he realised that a two parts of one of his old tracks would be perfect for Ice Run. So Rick sampled two parts Anne Of Cleves, from Rick’s album The Six Wives Of Henry VII. By using two samples from Anne Of Cleves this completed the song. However, White Rock wasn’t complete until September 1976. With White Rock complete, A&M Records scheduled the release for 1977. This meant Rick Wakeman had to wait before hearing how his second venture into the world of soundtracks would be greeted? Deep down, Rick must have been hoping that lightning wouldn’t strike twice. Sadly it did. By 1977, the musical landscape had changed. Punk had arrived in Britain, kicking and screaming. Hanging on their every word, were a new breed of gunslinger critics. They were happy to fly the flag for this anti-music, and acted as the punks mouthpiece. If a puff piece was needed, the gunslinger critics wrote it. They were happy to be their master’s voice. The gunslinger critics slavishly agreed with their musical masters, saying progressive rock was yesterday’s music. Progressive rockers were dinosaurs the script went. That’s despite the gunslinger critics once championing progressive rock. It seemed they had recently undergone a Damascene conversion. These ‘critics’ savaged White Rock, calling it the worst album of Rick Wakeman’s career. Other critics wrote much more unbiased reviews, concluding that White Rock was a good, but not great album. The curse of the soundtrack had struck again. Or had it? When White Rock was released in 1977, it reached number fourteen in Britain. This resulted in a silver disc for Rick Wakeman. He had the last laugh, Meanwhile, in America White Rock stalled at 128 in the US Billboard 200. While this was disappointing, it was an improvement on Rick’s last venture into the world of soundtracks. Still, Rick was a popular artist on both sides of the Atlantic. That had been the case since The Six Wives Of Henry VIII, which was the first album in the 5 Classic Albums box set. This commercial success continued from Journey To The Centre Of The Earth, through The Myths and Legends Of King Arthur and The Knights Of The Round Table, No Earthly Connection and White Rock. These albums feature one of the pioneers of British progressive rock, Rick Wakeman. He was a musical pioneer who wrote and recorded several classic albums. This included The Six Wives Of Henry VIII, Journey To The Centre Of The Earth and The Myths and Legends Of King Arthur and The Knights Of The Round Table. These albums deserve to be called classic albums. No Earthly Connection was a return to form from Rick Wakeman, and featured some innovative music. Especially the five part, twenty-eight minute epic Music Reincarnate. However, No Earthly Connection stops short of reaching classic status, but is still one of the highlights of Rick’s career. White Rock by comparison, is a disappointing album that’s best described as good, but not great. Despite this, the album Rick Wakeman released between 1973 and 1977 are a reminder of the most successful period of Rick Wakeman’s carer. Throughout this period, he constantly strove for perfection. That was what Rick Wakeman spent much of the seventies searching for. For most musicians, that’s unattainable. However, Rick Wakeman wasn’t most musicians. Just like so many musicians of the progressive rock era, he was a musical pioneer, who created cerebral, groundbreaking and innovative music. To do this, Rick Wakeman pushed musical boundaries, and came closest on The Six Wives Of Henry VIII, Journey To The Centre Of The Earth and The Myths and Legends Of King Arthur and The Knights Of The Round Table. These albums deserve to be called classics, and are a reminder of Rick Wakeman during what was his relentless pursuit of perfection. Between 1973 and 1977 Rick Wakeman reached his creative zenith, and created some of the best, and ambitious music of his long and illustrious career. ← (THE MICROCOSM): THE VISIONARY MUSIC OF CONTINENTAL EUROPE, 1970-1986.